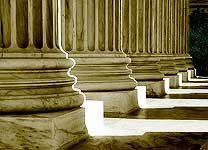 Many people who create an estate plan through Ambler Keenan Mitchell Johnson address charities in their estate planning documents. We welcome suggestions of your favorite charities, and we hope these inspirational stories will make an impact in your life as well. This week we have a few of Alexis’ favorite organizations to introduce. Alexis is the smiling face you see at the front desk at Ambler Keenan Mitchell Johnson. Her job duties don’t end there! She is constantly multitasking and making sure everything goes smoothly behind the scenes for our clients. In 1910, an organization was born to rescue, care for, advocate for, and educate communities about sick, neglected, homeless, mistreated, and injured animals. Their goal, by 2018, is to have a 90% or greater placement rate for all cats and dogs who are looking for homes. They also spay, neuter, and microchip local homeless animals, and provide these services at a lower cost in an effort to prevent the numbers of homeless and uncared for animals from rising. To contact the Dumb Friends League, or to make a donation or inquire about pet adoption, visit their website at http://www.ddfl.org. In 1887, a Denver woman, a priest, two ministers, and a rabbi had a meeting of minds with the desire to create an organization that could help the local people with their needs. 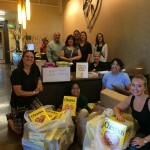 The organization has had many names throughout the years such as “The Charity Organization Society,” “Community Chest,” “Red Feather Drive,” and “United Fund.” Mile High United Way is involved in many aspects of promoting a healthier society. They focus on early childhood development and literacy, education, youth development, family income, and economic stability. Mile Hi United Way strengthens the community by partnering with local nonprofits, governmental agencies, policy-makers, and local businesses. If you have questions for Mile High United Way, or to donate or volunteer, visit their website at http://www.unitedwaydenver.org/. The Denver chapter is a younger organization, founded in 1983, but it has made a HUGE impact on the children of Colorado who are fighting life-threatening illnesses. It all started with a young boy of 7, Chris, who was diagnosed with leukemia. He wanted more than anything to be a police officer. His local community came together to grant his wish before he passed. Out of the momentum that came from granting his wish a national organization was born. Make-A-Wish Foundation fills hearts with happiness and helps dreams to come true one wish at a time. 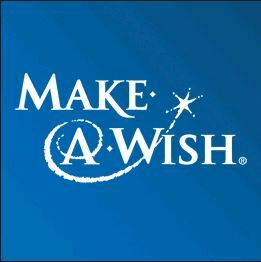 For more information on Make-A-Wish Foundation, or to donate or volunteer, visit their website at http://colorado.wish.org/.